I received good news this week that might be good news for you, too. Tony Castricone, a Network Manager at IMG is going to be at STAA’s upcoming One Day Ticket to Sportscasting Success seminar looking to meet talent. Specifically, Tony needs folks to fill as many as 20 studio host positions on IMGs various NCAA football and basketball networks. When you meet Tony or anyone else in our industry, what are you going to do to make yourself memorable? Success in sports broadcasting is more about who you know than what you know, but how do you take advantage of these opportunities to meet folks who can influence your career? Shake hands and kiss babies like a politician. The sportscasting industry is no place for the meek. I remember a seminar I hosted several years ago. The assistant program director from ESPN Radio Network met dozens of sportscasters at a reception the night before the event. NOT ONE OF THEM gave him their business card. When I return home from a seminar, I enter all of the business cards I received into my Rolodex. Don’t miss the opportunity to share your contact info with people. Bringing dozens of copies of your demo and resume to a seminar is cumbersome for you and inconvenient for the people you are handing them to. Instead, include a QR code on your business cards. A scan from a smart phone will immediately take the person to your personal website or Talent Page. A Google search will supply you with free QR code generators. This is the most valuable tip I will share in this post. I once had an executive decline an invitation to speak at one of my seminars because they dreaded the feeling of being used that sometimes results from disingenuous contact. Dress neatly, look people in the eye and have a firm handshake. Doing anything else says more negative things about yourself than any positive words you might speak. I say this tongue in cheek – sort of. At the 2012 One Day Ticket event, one of my clients brought me my favorite candy bar. I can never think of him now without also recalling his thoughtful and personal gesture. Thanks Mike! (I hear frankincense and myrrh work well, too). 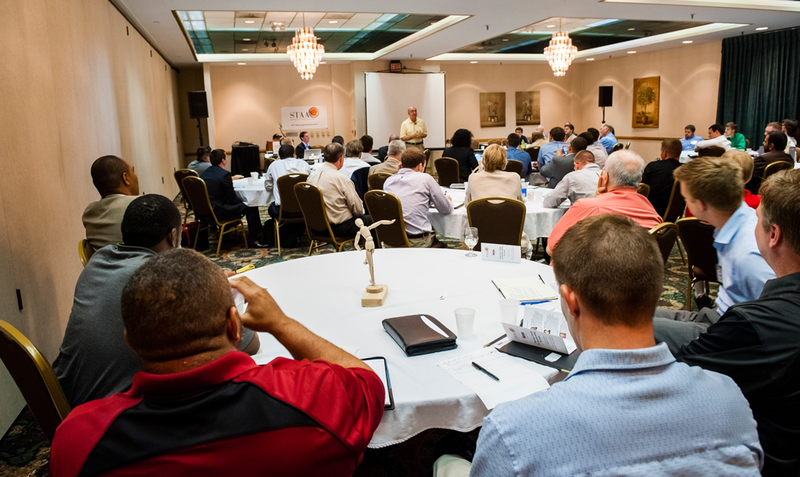 Next month’s One Day Ticket to Sportscasting Success seminar is going to feature A LOT of relationship building opportunities. There will be a reception the night before, two 15-minute networking breaks (I guess I should rename those, huh? ), and an hour-long lunch. When you’re meeting guys like Tony Castricone, Tom Boman from Learfield, and Scott Masteller from ESPN Radio Network, keep these tips in mind. What are your favorite relationship building tips? I’d love to hear them in the comments below.